As I say, I was just flipping through it. It might be that there’s some explanation, some interesting archaeological trail I’m unaware of. That would be thrilling. But right now I have a sinking feeling that she’s just imagining. Just imagining is fine. It is, after all, what I do for a living. But I’m a novelist. This book is presented as a narrative history. I have difficulty accepting that Hild learnt from her sister. In their adult lives, the two sisters follow two different religious traditions. Hereswith was either at Faramoutiers, which, though run under the Rule of Columbanus, was founded in a time and place much steeped in Roman culture (material and otherwise), or, possibly (though much later–it wasn’t founded until 658), Chelles. Both would have been under the authority of Roman Christian bishops. Hild, on the other hand, led Hartlepool and Whitby, under Bishop Aidan, who was Ionian-trained, as ‘Celtic’ a Christian as it was possible to be. So if anyone out there has read the book, I’d love to be reassured. I’ve been looking forward to this one! 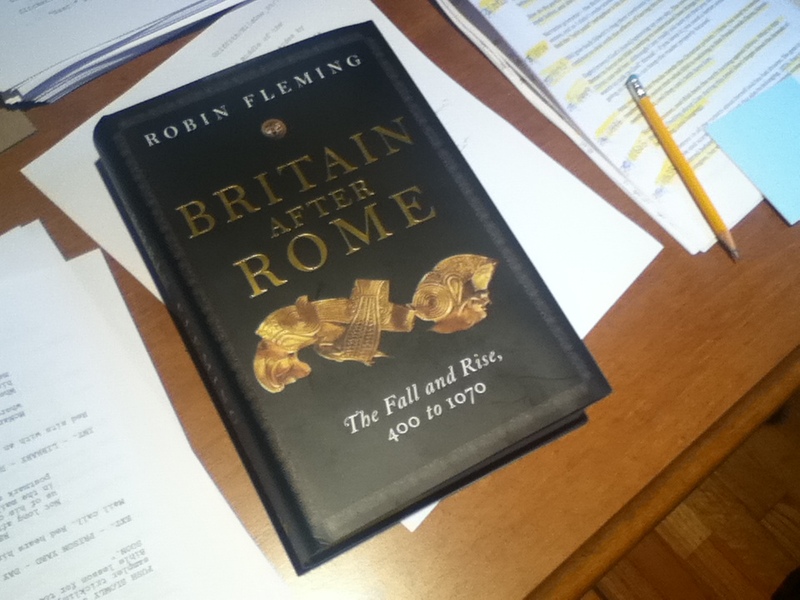 I think Robin Fleming is misreading Bede. By my reading, Hild's sister is already in France before she gets to East Anglia. Hild doesn't even get to see her sister before she returns to Northumbria. She probably goes there to live with her sister during her (Hild's) widowhood, only to find that her sister has already gone to France, so she is waiting for travel season to join her sister. I think this is all about wanting to reunite with her sister.